When your home is damaged, it is one of the most devastating things that can happen to a family. Your safety and security have been violated, and you feel vulnerable and alone. Fortunately for families in the West Palm Beach area, Secure Restoration offers quick, effective and professional clean up for a variety of damages to your home, including mold removal, mold remediation, water damage restoration, fire damage restoration, flood damage restoration, water removal and much more. Making use of our services will restore your security and maybe even your faith in humanity. Calling on a quality West Palm Beach home repair company like Secure Restoration is the best thing you can do in your time of need. We’re happy to help get your home back in tip-top shape in no time! Secure Restoration is certified by the Institute of Inspection, Cleaning and Restoration Certification (IICRC), a certifying body that has developed procedural standards for the inspection, cleaning and restoration industries. The IICRC serves more than 25 countries, so you can trust that their standards mean that you will receive the highest quality service designed for the best possible restoration results in your beloved home. Some of the areas that the IICRC’s standards apply to include carpet inspection, cleaning, repair and installation, along with fire and smoke restoration, house cleaning, mold remediation, odor control, upholstery and fabric cleaning and water damage. Make sure any company you consider for home damage repair is trained by the IICRC. Look for the IICRC logo and patches and ask for credentials, along with a written estimate of the work to be done and a written contract or invoice. It’s important to hire a professional restoration company – we understand the need for quick responses, and immediate action is the biggest key to keep restoration costs down. Certified technicians can quickly test your home apply their professional restoration techniques to restore your home to its original condition. Mold is one of the most dreaded problems a homeowner can face. If you catch mold early and act quickly, you can get rid of the mold fairly easily – you may even be able to do the mold removal yourself – but if you let your mold problem continue to grow, you’ll need professional mold removal in West Palm Beach. Mold can cause major health issues and even property damage, so if you think you may have a mold infestation in your home, call Service Restoration right away. Our professional team will respond quickly and efficiently to make sure the mold is fully removed, even from places you might not realize mold exists. Secure Restoration will conduct a mold inspection to check your premises completely for mold. Once we know the extent of the mold damage, we can begin using our industrial tools to clear your home completely. This may involve cleaning out wall cavities, removing carpet and carpet pads, restoring old fabrics and more. We will also make sure the mold is completely clear of your HVAC systems – if mold spores enter the ductwork, they can be carried throughout the house. 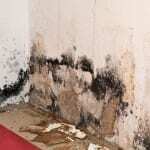 Of course, the best way to deal with mold is to prevent its occurrence in the first place. Water is the key factor in mold formation, so we will ensure there are no active areas of water leakage anywhere around your home. We know that West Palm Beach mold removal is the last thing you want to think about, but rest assured – if you do face this situation, Secure Restoration is here to help. Microscopic mold spores are present almost everywhere both indoors and outdoors. If water makes an unwelcome appearance in any area of your home, it can take as little as 48 hours for a mold problem to begin. Mold remediation in West Palm Beach focuses on taking this mold back down to an acceptable, natural level of existence. If you need mold remediation in West Palm Beach, FL, let Secure Restoration be your first call. To begin the mold remediation process, we will conduct a thorough assessment to determine the extent of the mold in your home. Once we know this, we will stop the source of the moisture that is causing the mold – this may mean replacing a leaky window, fixing a roof or a wall, or more. Once this is done, the area with mold must be carefully dried (avoiding any additional exposure and spreading) before the mold is cleaned. Mold cleanup could involve removal of home structures and decorations. For less severe cases, any of the following methods may be used: wet vacuums, HEPA vacuums, dry ice blasting and more. The use of fungicides and hot air has been proven unsafe, so stay away from those methods. Secure Restoration is an effective West Palm Beach mold remediation company that will get you back to normal in no time. Call today! If you experience water damage in West Palm Beach, it is critical that you act quickly. Every minute that you wait to call for help can cause exponentially more water damage if you have a burst pipe or some other major issue. West Palm Beach water damage restoration companies should be able to respond quickly 24 hours a day, 7 days a week. Secure Restoration will answer the phone any time of day or night and can be at your home within minutes to begin your water damage restoration. Until help arrives, make sure it is safe to stay in your home and there are not any electrical or flooding hazards as a result of the water. Once the experts are on the scene, they will work through a six-step process designed to achieve the best results possible. You will have already completed Step 1 – making the emergency contact. Step 2 is identifying and sealing the source of the water. You may have already done this before Secure Restoration arrives, but if not, this will be their first priority in the water damage restoration of your home. Step 3 is a loss assessment and evaluation, which will determine how much damage has been done and an estimate of what the repair cost will be. Step 4 is water removal and drying (various techniques will be used for various items) and Step 5 is the cleaning and sanitizing process which ensures you will have a healthy place to live when all is said and done. Step 6 is the actual restoration of your home. These services can include painting, flooring work, drywall replacement, and sealing of cracks. As a reminder, Secure Restoration is certified for water damage restoration in West Palm Beach by the IICRC. These standards mean that you will receive the highest quality service designed for the best possible restoration results in your home. West Palm Beach water damage restoration can be a brutal inconvenience, but the end result from Secure Restoration’s water damage restoration team will be something in which you can take pride. If you experience fire damage in West Palm Beach, you are going through an emotionally devastating time. The last thing you want to worry about is the company you hire to help repair your home, and with Secure Restoration’s fire damage restoration service, there’s no need to worry. We know how important it is to you to return to your home, so we will work quickly and professionally to help you recover from fire damage as soon as possible. If you need fire damage restoration in West Palm Beach, call Secure Restoration as soon as possible after the fire – some things in your home can be further damaged by waiting longer. Be careful in your home as you wait for help to arrive – don’t try to clean anything yourself, especially around electric appliances, and limit your movement through the house to prevent soot from being ground into carpet and fabrics even further. When Secure Restoration’s fire damage team arrives, they will do a full and immediate inspection of your home. This assessment will include the impact of the smoke, heat, and residues from the fire, as well as any impact from the water used to extinguish the flames. They will let you know what they think can be saved in your home and what may not be able to be saved. The next steps in the fire damage restoration process by Secure Restoration will include boarding up the home and tarping the roof as needed to protect the house from further damage. If water damage is an issue, water removal and drying will then take place, as will the removal of smoke and soot from surfaces in the home. Cleaning, repair, and restoration finish the process, after which you’ll be back in your home. Any fire damage to your home may seem irreversible and beyond repair, but take heart – most fire damage restoration services are able to restore homes to normal by reversing fire and smoke damage. If you need West Palm Beach fire damage services, give Secure Restoration a call! If you are in need of flood damage restoration in West Palm Beach, you’ll want to call Secure Restoration’s flood damage restoration services. Because of where West Palm Beach is situated geographically, heavy rains can cause an immense amount of flooding as streams and creeks and rivers begin to overflow. If flood waters overtake your home, you will likely struggle emotionally even as you try to salvage your home and the valuable items inside it. Water can cause extensive damage to everything in your home, so it is vital to call a certified, trusted company such as Secure Restoration to perform your flood damage restoration services. You may think you’ve escaped severe consequences if effects of the damage don’t show up for a few days, but once they do show up, you know you’ll need help. Wood can decay, odors can stick around for months and mold can grow quickly and be very resistant to cleaning. Call Secure Restoration quickly if this kind of flooding occurs. The faster you act, the more you will be able to save. While you’re waiting for the professionals, you can mop or blot up any standing water you see. Prop up wet upholstery and cushions to dry, remove colored rugs from wet carpeting and make sure you gather up all valuables that need to stay dry. Do not turn on ceiling fixtures if the ceiling is wet. When Secure Restoration’s professionals arrive, we will have professional tools that will allow us to measure the level of moisture in your home and determine any possible trouble spots for mold. Once this determination is made, we’ll give you an accurate quote for our West Palm Beach flood damage restoration services. If storms, heavy rains or a burst pipe have left you with the need for water removal in West Palm Beach, you just need to make one call – to Secure Restoration! We know emergencies can happen anytime, so we are on call 24/7 to serve you. The first step while you are waiting is to minimize the damage – stop the water at its source, if possible. Remove any electrical devices from the area with water if it is safe. Try to walk on wet carpet as little as possible, and place small pieces of aluminum foil under furniture legs to keep them from staining the wet carpet underneath. Hang curtains up and move any valuables to a dry area. Do not turn on the air conditioning or fans – they could spread contamination if the water is sewage-related. When Secure Restoration’s team arrives, they will use water extraction equipment such as powerful pumps and industrial strength wet/dry vacuums to remove water in your home, as well as water from carpets, pads, and furniture. The carpet and padding may have to be removed for proper drying. Our water removal team can also use moisture detectors and other meters to measure the extent of moisture in your home. Infrared cameras can detect hidden water as well. Clean Water. This comes from a source that is not likely to harm humans. Examples include water from a broken water pipe, a sink overflow with no contamination, broken toilet tanks, melting snow and heavy rain. This water is not dangerous to you unless it’s left untreated for 72 hours, in which case it becomes Category 2 water. Remember – it is critical to act quickly when you have a water damage issue in your home. Gray Water. This water will contain a significant level of contaminants that are harmful to humans – they could cause illness or discomfort at the least. This water could include microorganisms and nutrients for them, and it could contain chemicals and other bio-contaminants. This water is not suitable for consumption. Examples include overflow from dishwashers, washing machines, toilets, sump-pump failures, broken aquariums and more. Carpets affected by this water must be treated with hot water extraction and the pad must be removed. If Category 2 water is left untreated for 48 hours, it becomes category 3 water. Black Water. This kind of water includes sewage and other contaminated water that enters your home. Whenever sewage enters a dwelling, the health of the residents (and workers) should be the greatest concern. Carpets and padding contaminated by black water should always be disposed of – there’s no treatment that can adequately clean them so they can still be used. Sources of black water include toilet overflows from below the toilet trap, flooding from seawater, surface water and rivers and streams. West Palm Beach water removal can be a difficult ordeal. If you’re faced with this challenge, call Secure Restoration. We can help you determine the type of water in your home and then formulate a plan to remove the water and get you back in your clean, dry home as soon as possible. Located well north of West Palm Beach, the township of Jupiter is still within the service area for Secure Restoration’s West Palm Beach location. Damage restoration services that residents can take advantage of include water damage restoration – a huge plus given Jupiter’s position on the edge of the Atlantic Ocean. Residents may also request info on fire damage restoration, mold removal and water removal, among other services that Secure Restoration offers in Jupiter. Located northwest of Secure Restoration’s West Palm Beach location, Palm Beach Gardens is farther off the ocean, but residents can still take advantage of Secure Restoration’s services. Whether residents need help with mold, fire, water, storms, rains or more, Secure Restoration will meet every need. Located directly north of West Palm Beach, Riviera Beach sits right on the edge of the ocean. With the close proximity to the water, residents are frequently in need of water damage restoration service. Secure Restoration can meet those needs and more (including mold remediation and fire damage restoration) with just a quick phone call from Riviera Beach residents. Located between West Palm Beach and Wellington, Greenacres is tucked quietly away. Residents of this area are just a few minutes from Secure Restoration’s West Palm Beach location, which means they are in perfect position to make use of the damage restoration services that Secure Restoration offers, including mold removal and remediation, water damage restoration and fire damage restoration. Located southwest of West Palm Beach (just below Royal Palm Beach), the Wellington township is a farther distance from the ocean than several other townships in West Palm Beach. Residents here know that Secure Restoration can be their one-stop shop for almost any home restoration need, including mold removal and remediation, water damage restoration, water removal and fire damage restoration. With easy access to Secure Restoration’s West Palm Beach location, residents here can feel secure knowing help is just a phone call or short car ride away. Located due west of West Palm Beach, Royal Palm Beach is also farther from the waterfront than several other Palm Beach County townships. Residents here can take advantage of the full range of Secure Restoration’s service offerings, including mold removal and remediation, water damage restoration and fire damage restoration. Located south of West Palm Beach about halfway between West Palm Beach and Boca Raton, Boynton Beach township is directly on the Atlantic Ocean. This nearness to water means that Boynton Beach residents often need to call Secure Restoration for water damage services, along with mold removal and mold remediation needs. Secure Restoration’s convenient location in West Palm Beach means that we can respond quickly to damage restoration needs at any time of day, night or weekend. If you live in the West Palm Beach, FL, area and need any kind of home restoration services, contact Secure Restoration today! Let us know just what you need or ask a question to clarify our services. No matter whether you are looking for mold removal, water or fire damage restoration needs, we are here for you 24 hours a day, 7 days a week. Immediate action is often the key to restoring your home to its original condition at a reasonable cost, so we are always available. You can get in touch with us quickly and easily in the West Palm Beach area (including surrounding townships) by sending a message through our website or by calling us at 888-368-2840.